Our goal is not to push you to volunteer abroad. On the contrary. We think there are many different ways that you can do good in the world, and we’d be delighted if our website and book help you further identify some of the ways that work for you. We don’t think volunteering abroad is always the right answer. 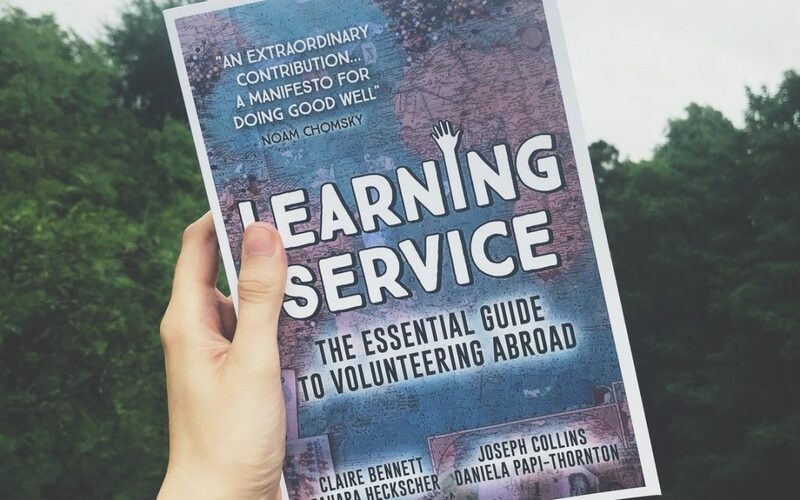 When it comes to volunteering, there are probably many organizations just beyond your doorstep that could use your support, and, while abroad, we view the learning part of your journey as an essential step in a life-long commitment to responsible global citizenship. We aim to help you explore what options are right for you. Our book is not meant to give you quick fix answers to where you should consider volunteering. Rather than endorsing or criticizing different providers, we give you tools to do your own due diligence and evaluation of international opportunities or organizations. Our mention of specific organizations in the book does not constitute an endorsement. Organizations change all the time, and some cease to exist while new organizations emerge. We aim to give you tools for you to use to make more informed decisions about how you use your time, and help you reframe traditional ideas about how you can do good in the world. We hope they are of use!